Forgot Password? New User? Start here.. When David Lean directed Doctor Zhivago in 1965, he was coming off a remarkable double achievement: The Bridge on the River Kwai (1957) and Lawrence of Arabia (1962). Both films merged epic spectacle with intimate character study, a combination Lean would revisit with even greater ambition in Doctor Zhivago. Based on a novel by Boris Pasternak, the film tells the story of the Russian Revolution as seen through the eyes of its title character, Yuri (Omar Sharif), a doctor and poet torn between two women: his loving, dutiful wife, Tonya (Geraldine Chaplin), and his passionate mistress, Lara (Julie Christie), who is also desired by the ruthlessly pragmatic businessman Komarovsky (Rod Steiger). As violent conflict rages around them, these characters struggle to balance love, duty, work and art in an extremely complex world. Lean reassembled most of his Lawrence team to produce Zhivago: screenwriter Robert Bolt was back, along with production designer John Box, camera operator Ernest Day, BSC, and many others. The director also planned to reunite with Lawrence’s Oscar-winning cinematographer, Freddie Young, BSC, but by the time Zhivago was ready to shoot, Young was booked on Basil Dearden’s Khartoum. Lean, therefore, handed the reins to Nicolas Roeg, BSC, who had been a second-unit cameraman on Lawrence. Unfortunately, the collaboration was not a happy one; Roeg’s taste for realism above all other concerns did not mesh with Lean’s romantic sensibility. Quickly realizing their views would never reconcile, Lean dismissed Roeg, and second-unit cameraman Manuel Berenguer, ASC, filled in until Young was available. Young’s cinematography on Zhivago brought him the second of three Academy Awards he won for Lean pictures (the third being Ryan’s Daughter), and it remains the high point of an exceptional career. Switching from the hot desert landscapes of Lawrence to brutal Russian winters, Young created a palette of gloomy grays punctuated by dazzling bursts of color. Many early scenes, for example, are almost monochrome so that when the revolution begins, it is powerfully announced by the bright red of communist flags. In a much later scene, Zhivago and Lara sit in a freezing cottage void of color; when, after several minutes of gray, color rushes into the scene in the form of yellow daffodils, the sudden visual shift completely alters the emotional tone of the film. The use of color represents only one facet of Young’s boldness on Zhivago, a film in which he regularly makes daring choices — such as submerging his romantic leads in darkness, with carefully placed pinpricks and shafts of light illuminating their eyes and hands. The movie regularly eschews conventional choices, presenting scenes of violence in gorgeous light while placing beautiful love scenes in grim, cold settings. The wide range of colors and contrasts are well preserved on Warners’ new Blu-ray edition of the film, the latest in a series of excellent high-definition restorations by the company following equally sublime work on The Wizard of Oz, Gone with the Wind and North by Northwest. The aforementioned reds in Zhivago are particularly striking (as are the dense blacks in the film’s many low-key interiors), and the detail is so precise one could be forgiven for believing this film, like Lawrence and Ryan’s Daughter, was photographed in Lean’s beloved 65mm. In fact, it was 35mm anamorphic. The uncompressed audio mix is strong as well, with separation and surround effects that are effective but not overwhelming, and with a perfect balance between the dialogue and Maurice Jarre’s justly famous score. The Blu-ray contains a new 40-minute documentary, “Doctor Zhivago: A Celebration,” which features interviews with filmmakers Mikael Salomon, ASC; Taylor Hackford, Gary Ross and others. The interviewees provide informative analyses of the film, combining the affection of fans with genuine insight. Also new to this Blu-ray release is a CD of the film’s score. The rest of the many supplements are borrowed from a previous DVD release; these include interviews with and profiles of Sharif, Christie and Chaplin; Chaplin’s original screen test, and a wealth of other publicity materials. The disc also contains several brief but illuminating vintage featurettes, including the 10-minute “Zhivago: Behind the Camera with David Lean,” the seven-minute “David Lean’s Film of Doctor Zhivago,” and the 4 1/2-minute “Moscow in Madrid.” A nine-minute documentary on novelist Boris Pasternak is also included, as are the hour-long “Doctor Zhivago: The Making of a Russian Epic” and a fascinating commentary track by Sharif, Steiger and Lean’s widow, Sandra. 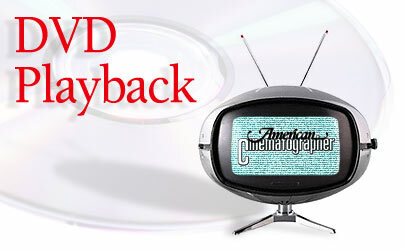 An original theatrical trailer rounds out the comprehensive package.